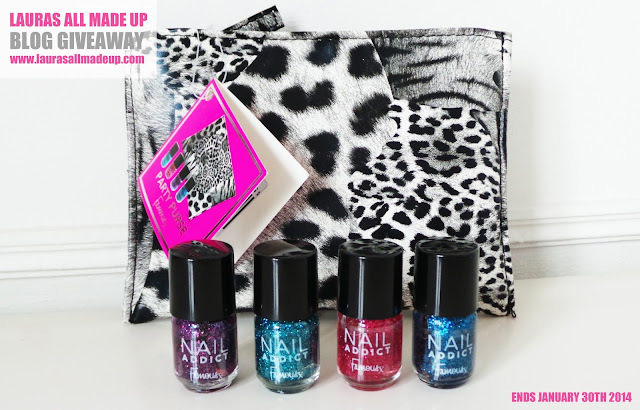 - The winner will receive 1 x Famous Cosmetics Party Purse (as pictured) with 4 x mini glitter nail polishes. - Winner will be notified within 24 hours of competition ending via the email provided to me in the Rafflecopter widget. - All entries will be checked and verified, so please do not cheat! - I will post the item out as soon as I can, but when I work 9-5 getting to the post office to post proves rather difficult. Hi, just to let you know your tweet is too long to be tweeted.